Franck is currently working for Fujitsu’s presales organization in Western Europe. Franck is specialized in big outsourcing and transformation projects mainly on cloud and Datacenters. Franck has built and managed ERP outsourcing Delivery centers for EDS, has participated in the creation of IBM ERP outsourcing and Web hosting services offerings and delivery centers. After having managed two big outsourcing contracts in the telecom industry for Bouygues Telecom and SFR, Franck has been Operations Director for all the IT outsourcing activity for EDS, Operations Director for Darty and Paris Area Director for Oxya. 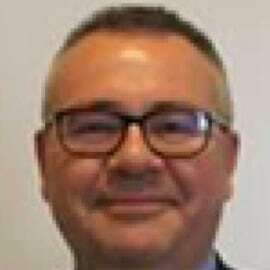 Before joining Fujitsu Franck was CTO of the Infrastructure Management activities of Econocom in charge of efficiency, innovation, new offerings and strategic projects.